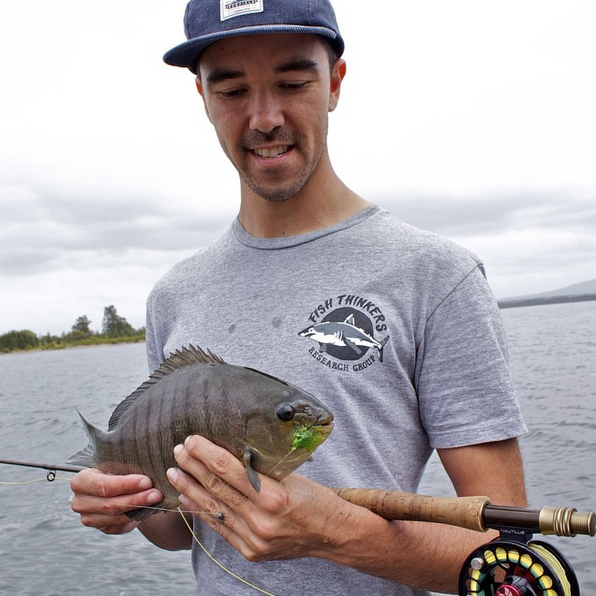 Fish Thinkers is a collaborative effort by a group of aquatic researchers who among other things have an interest in fishing, surfing and the marine and freshwater environment in general. The blog covers current research, but also short articles, reviews and pieces about anything vaguely related to the aquatic environment. We also have guest posts by others such as fellow researchers who are covering topics we find particularly interesting. The opinions of each blogger are their own and not always held by the whole group. In fact, we tend to disagree on a lot of things. Hopefully this makes for an interesting range of opinions. We look forward to and welcome comments, posts, suggestions and informed debate. However, personal attacks or insulting/vulgar posts will not be tolerated. If you would like to provide a post within the site’s theme, please contact us. I recently completed my PhD at the University of Wollongong and the NSW Department of Primary Industries. My thesis examined the ecology of soft sediment fish assemblages in temperate waters of South Eastern Australia. I used Baited Remote Underwater Video (BRUVs) to identify and compare fish communities found on temperate soft sediments, including in NSW marine park sanctuary zones (no-take zones), habitat protection zones (recreational fishing allowed) and areas outside of the marine park (that are targeted by both recreational fishers and commercial fishing vessels). In addition, I also used acoustic tracking to investigate issues surrounding the movement patterns of key soft sediment fishes. I have a deep(pun alert) interest in sustainable fishing and marine ecology. I am a member of a number of professional associations including , AMSA, SCB, EcolAuS, FSBI and I am on the Australian Society for Fish Biology executive as a student rep. This year I am also part of the organising committee for the ASFB 2017 annual conference. As a Australasian fishes project sponsor my main role is in promotion of the project, however, I also enjoy speinding time identifying and logging fish observations. I am a recreational fisher and a co-founder of ‘The 17th best fishing club in Australia’. I also have a long held interest in Native Australian Freshwater Fish and am a member of ANGFA. Among my many ‘non-aquatic’ interests are lion and African wild dog ecology and conservation. You can contact me via fishthinkers at gmail dot com. 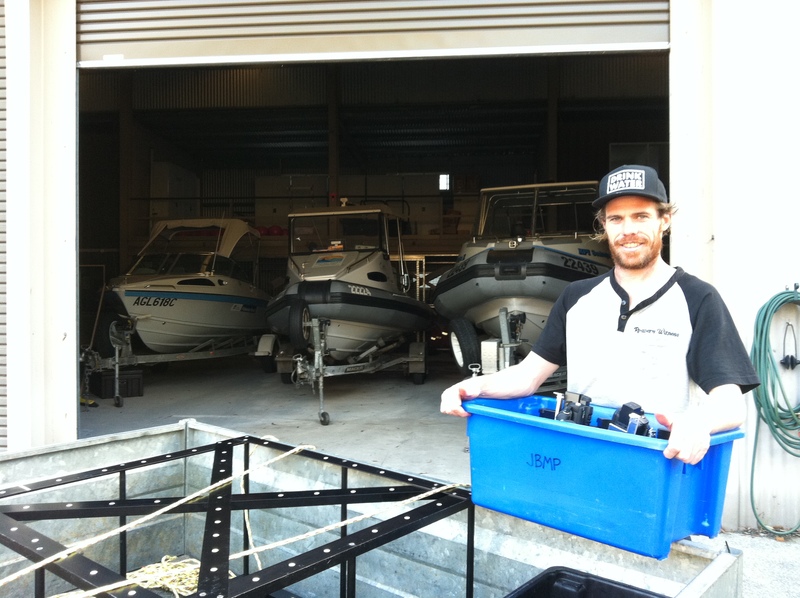 I am a marine ecologist currently undertaking a post-doc at AIMS. I completed my PhD in the School of Biological Sciences at the University of Wollongong in 2017. My research interests include 1) understanding the relationship between seascape patterning (i.e. the mosaics in coastal environments created by habitat patches) and the distribution of pelagic and demersal fishes, 2) exploring how seascape-species relationships can be incorporated into Marine Protected Area design to improve their conservation outcomes, 3) investigating the effect of Marine Protected Areas on biodiversity and 4) developing mid-water remote video sampling techniques to survey and explore the basic ecology of near-shore pelagic fish. I am also a keen recreational fisher, whether in estuaries, salt or freshwater, where I usually spin or use fly. You can contact me via fishthinkersresearch at gmail dot com. I am a currently a Masters student at the University of Trondheim. I completed my honours in Science and Technology studies at the University of Wollongong. My honours project was an analysis of scientific communication around sharks on the East coast of Australia. A key focus was the effectiveness of science communication in influencing cultural discourse about sharks, and how this is reflected in the types of technologies that are developed to protect humans from sharks. I also analysed how we determine the effectiveness of such technologies, from both conservation and public safety perspectives. I am interested in finding effective ways to communicate science and am hoping to go into Science Journalism, after further studies and research in Ecology. Disclaimer – The views expressed on this website are the authors own and do not necessarily represent those of the organisations they are affiliated with or the other authors of the blog. Wondering if you guys would be keen to use our bait for your research? Flick me an email if you like. Hey guys, my name is Steve with hitchnfish.com. We love your blog and think what are you are doing is awesome!. Our website is a fishing website dedicated to getting fishing stories just like yours out there. We would love to share your content and help to bring traffic back to your blog. Let me know if this is something you might interested in. You can contact me anytime at steve@hitchnfish.com or 602-829-8824. We can’t wait to hear from you! Keep up the great work! I’m traversing NSW getting the stories of people that are doing interesting and awesome things in their community. It’s a part of a program called the ‘Australian of the Day’. I spoke to my mate Ian Osterloh about your area and he told me about your work. Upon checking out your stuff i’d love to come down and have a really brief chat and take a quick photo of you guys doing your thing. Give me a call or email and i’ll give you more details, it’ll make for great exposure as its a pretty big and publicised campaign. No problem James. Matt will have been in contact by now but thanks for getting in touch. Look forward to hearing more.